THIS ITEM does not include FREE shipping. Please call 1-800-480-4540 for our lowest instant shipping quote. We feel we have the most competetive pricing in the U.S.A, however, if you find a lower published price, WE WILL BEAT ANY COMPETITORS PRICE (product + ship cost), on comparable product. Epsom Salt is a pure mineral compound (magnesium sulfate) in crystal form. The crystals are formed from evaporated brine pools in the earths crust. There are several different grades of Epsom salt, produced to purity standards according to the purpose for which it is intended. This is premium quality Epsom Salt. 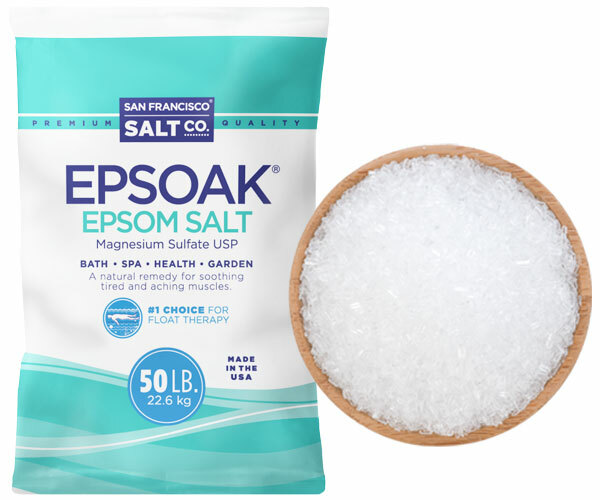 For a relaxing soak - Add two cups of EpSoak to a hot bath in a standard-sized bathtub; soak for at least 12 minutes. 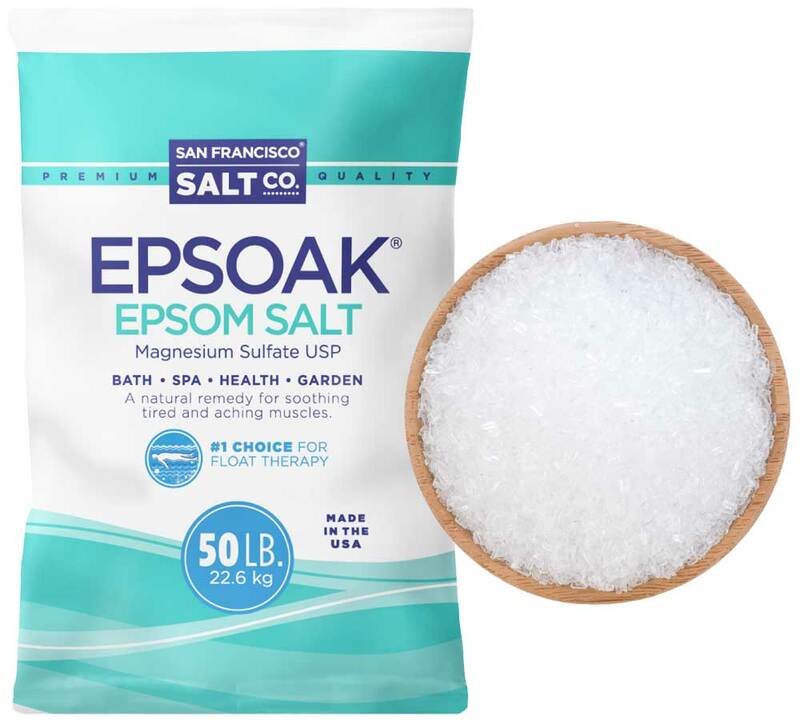 Relieving fatigue - Add four cups of EpSoak into a warm bath in a standard sized bathtub; soak for at least 15 minutes. Body Wrap - Include Epsoak salts as a layering product in a body wrap. Facial - Mix 1/2 TSP of Epsoak into cleansing cream for a deep-pore cleansing. Massage on skin. Rinse with cool water. Pat dry. Grade: USP (United States Pharmacopeia) Grade Epsom Salt.